Do you enjoy listening to podcasts during your commute, workout, or morning devotions? Do you like meditating on short passages of Scripture? Would you like an ICR expert to answer some of your most pressing science and Bible questions? We’re excited to announce two new podcast programs we’re adding to our website, iTunes, and Google Play. 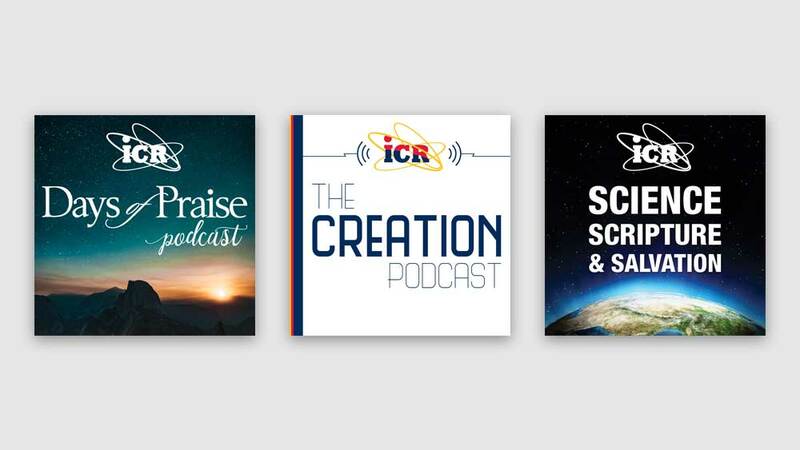 We now offer a total of three podcasts to encourage and equip Christians with biblical truth and scientific evidence that confirms the handiwork of our Creator. We hope you’ll subscribe, rate, and review the shows, and also share them with your family and friends. The Creation Podcast is a ministry of the Institute for Creation Research. Find answers to some of the most pressing questions of faith and science, and listen to science and Bible experts examine the latest discoveries from a biblical worldview. Science, Scripture, & Salvation is a radio ministry that we hope will encourage you in your Christian faith by showing how scientific evidence supports the Bible, particularly the Genesis account. When we see that the first and most foundational book of the Bible can be trusted in all matters—including science—it builds confidence in the rest of the inspired Word all the way to Revelation.